“Not so among you. Instead, whoever wants to become great among you must be your servant.” Here is the DNA of the Church. 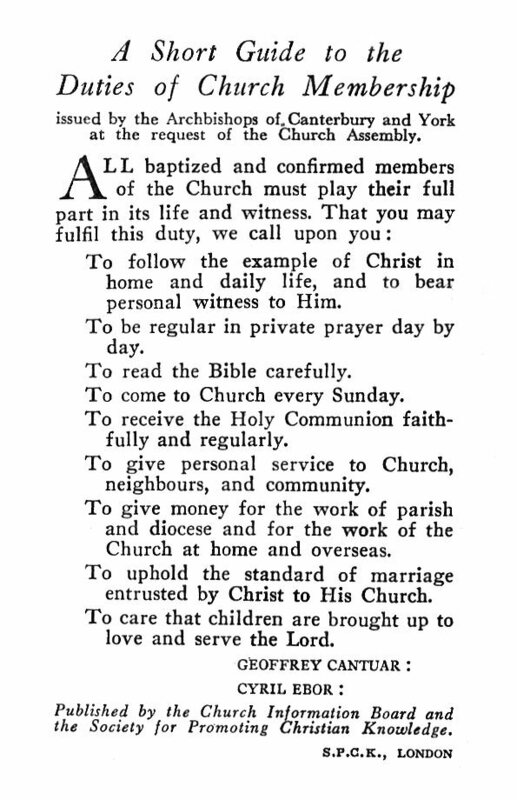 Back in the 1950’s, at the request of the Church Assembly, the Archbishops of Canterbury and York issued “A Short Guide to the Duties of Church Membership”. A few years ago, we adopted this guide as the basis for our own Membership Covenant. You can pick up a copy from the information desk or website. [i] Between now and Easter we are exploring what it means to be a member of Christ Church. At Easter we will invite you to rededicate yourself to follow Jesus and serve in and through his Church. Today we begin with the first of nine duties or privileges of church membership: “To follow the example of Christ at home and daily life, and to bear personal witness to him.” How can we do that? What does it mean? Please turn with me to John 13. Chapters 13-17 are known as the Upper Room Discourse. What is surprising is that in the first twelve chapters of John’s Gospel, Agape, God’s love is mentioned 8x. But in chapters 13-17, it is mentioned 31x. I want us to see the connection between love and service by what Jesus knew, what Jesus did and what Jesus taught. Three things we are told Jesus ‘knew’. First, “Jesus knew that the time had come for him to leave this world and go to the Father.” (John 13:1) He knew he was rapidly approaching the most important moments of his life. His destiny from eternity past. He knew that the pain, the shame and the agony of the cross was before him. Here is the question: If you knew that you would die tomorrow, what would you do today? I would spend the time with my family, I’d write some short letters to family members too far to visit and I’d make sure my will is in order. Not Jesus. John wants us to see something significant about Jesus. Fully God and fully man, Jesus is facing something we cannot imagine. He doesn’t say to the disciples, “Don’t you care about what I’m facing?” His focus is not on himself. He is concerned that they be prepared for what’s about to happen. Jesus is focused on them. Jesus knew the time. Do you? Second, “Jesus knew that the Father had put all things under his power, and that he had come from God and was returning to God;” (John 13:2). He knew who he was. Jesus, was the Lord of the Universe. If anyone didn’t have to humble himself to wash the feet of farmers and fishermen, He didn’t. But because he knew he was Lord of the Universe, because He knew He was not diminished by showing his love in humble service, he took up the towel and basin and stooped to fulfil the role of a foreign slave – to do for them what they were unwilling to do for him, let alone for one another. Are we as secure in our position as children of God? Can we serve without feeling it is in any way demeaning? Jesus knew the time. Jesus knew who he was. Third, notice something else Jesus knew, “For he knew who was going to betray him…” (John 13:11) Judas, full of deceit, full of hypocrisy, is about to “stab Jesus in the back.” Jesus knows it. What does Jesus do? What would I do? Some people’s motto is “Do unto others before they do unto you.” Not Jesus. Jesus does not distance himself from Judas. Jesus does not point his finger and say to him, “How dare you—after all I’ve done for you?” Instead he loves him to the end. He does everything possible to bring Judas to repentance. He washes his feet with the same tenderness and affection that he gives the others. No resentment, no anger, no bitterness, only sorrow for the awful decision Judas had made and the terrible consequences that would follow. I hope you would wash the feet of your family. What about your friends? What about your enemies? Will you serve knowing it probably won’t be reciprocated? What Jesus knew. He knew his time. He knew his Father. He knew his betrayer. What Jesus Knew: The Extent of Loving Service. I imagine there were a few open mouths, some wide eyes and hushed conversations as, one by one, the disciples realised what Jesus was doing under the table. Without saying a word he gives them a lecture. Isn’t this the way we learn our most vivid lessons? Notice the ‘action’ words in verses 4 & 5. He left his comfort zone. He made his body do something it may have not wanted to do. My alarm went off at 6:30 this morning. My body did not want to get up. After a lengthy discussion with my body, it got up. To be a servant you have to engage the will. Jesus got up. To serve others we usually have to lay something aside. Most of us live with a full schedule of activity. If I’m going to serve someone I often have to give up doing something for myself. Every servant has to deny himself something, to have the time and energy to give to others. Jesus got up and took off his outer clothing. 2.3 “he wrapped a towel around his waist. After that he poured water into a basin.” He made preparations to meet the need no one else was willing to supply. Jesus gradually circles the table and comes to the feet of Peter. Peter resists. Peter is so emphatic, he uses a double negative, “No,” … “you shall never wash my feet.” Perhaps it was the fisherman’s zealous determination not to be done a service that made him cry out in protest. Maybe it was the humiliation that he did not offer Jesus this simple act of hospitality himself. I can only think of two people who ever wanted to wash my feet. My mother and father. Why? because they loved me. Someone once said, “It is possible to give without loving but impossible to love without giving.” Service is an act of loving. This was what Jesus is communicating so graphically here. Through surrendering our pride to the hands of Christ, by identifying him bent over the bowl scrubbing us clean like little children, that is how our salvation comes. “If I don’t wash you“, said Jesus, “you have no part of me.” What ever it was for Peter, his feet exposed his independent pride. Peter would rather wash the feet of Jesus than let Jesus wash his feet. Later Peter would insist, he would rather die for Jesus than let Jesus die for him. And that was the lesson he was beginning to learn. Many people today still misunderstand Jesus just as Peter did. The person who has not yet learnt to count in this way cannot cope with this image of Jesus and servanthood. Do not be surprised when some friends and family make excuses when you invite them to a special service or church based event. They like to pretend they don’t need a wash, they’re clean enough already. “I know I don’t go to Church but…” But what? We can do nothing for Jesus until we have been washed by Jesus. Then you won’t be complaining about your place of service because your eyes will be on him not yourself. Its important to understand what Jesus is saying to Peter. We must not question the Lord’s will or work, or try to manipulate him. He knows what He is doing. Peter had a difficult time accepting Christ’s ministry to him because Peter was not yet ready to minister to the others. It takes humility to serve others, and the first step is to allow our pride to be humiliated to the point that we repent and are broken. Let me ask you, have you allowed Jesus to wash your soul? The invitation is here, the choice is yours. Just remember what Jesus said to Peter, “Unless I wash you, you have no part with me.” (John 13:8). 3.1 Do you understand what Jesus has done for you? Jesus begins with a question: “Do you understand what I have done for you?” (John 13:12). “I have set you an example” That is all the motivation you should ever need to give the rest of your life in joyful obedient Christian service. It doesn’t matter what your qualifications are. It doesn’t matter how gifted you are. It doesn’t matter how insecure, or ill-equipped, or nervous you feel. It’s about becoming a servant like Jesus. If my experience of God is only about me, and what he can do for me, I’ve missed the point. You know the greatest human tragedy? For a person to never receive Christ and experience his forgiveness. Know what the second greatest tragedy is? For a person to experience Christ’s love, his forgiveness and grace and never share that with someone else. The day before St. Valentine’s Day, its appropriate to consider what C.S. Lewis says about the danger of bottling up love. In his book The Four Loves, he writes. Do you understand what Jesus has done for you? This is linked to a second question. 3.2 Do you recognise who Jesus is? Notice Jesus is explicit in telling the disciples why he has done this. “You call me ‘Teacher’ and ‘Lord,’ and rightly so, for that is what I am.” (John 13:13). This is not your pastor asking you to volunteer, not your boss asking you to work overtime, not even your parent asking you to help clean the dishes. This is your Lord speaking. Jesus asked his friends, “Why do you call me Lord, Lord and do not do what I say?” (Luke 6:46). Jesus is not asking you. He is not pleading with you. He is not even inviting you. He is calling you to follow him as your Lord. When you are gripped by who Jesus is, and what he has done for you, everything else is secondary. So, do you understand what Jesus has done for you? Do you recognise who Jesus is? 3.3 Do you appreciate what Jesus expects of you? “Now that I, your Lord and Teacher, have washed your feet, you also should wash one another’s feet. I have set you an example that you should do as I have done for you.” (John 13:14-15). What does Jesus expect of us? That we “…wash one another’s feet.” What does that mean? That means doing whatever it takes to meet the needs of those we encounter, wherever we are, whoever they are, however inconvenient, however unpleasant. Next month one of my heroes in the faith will be 98. When Bishop Kenneth Cragg turned 90, I attended a celebration at Lambeth Palace. Besides the archbishop, there were many other bishops present and guests from all around the world. All there to honour a frail old gentleman who had them all in awe. Kenneth Cragg is probably still the leading scholar in the world today on Islam and interfaith dialogue. He has written 30 books, all of them classics. His words are so distilled you have to read each sentence several times to have any hope of understanding its meaning. After the Archbishop and various Bishops had expressed their appreciation, Kenneth spoke with humility and erudition about his love of the Lord Jesus Christ in a way that was breathtaking. He summed up his long life, his academic studies, his contribution to our understanding of Islam and interfaith relations in one sentence – “Confronted by the love of Christ, we have no choice.” Confronted by the love of Christ we have no choice. No choice but to serve the one who in loving service gave his life to set us free, who in loving service forgave our sins, who in loving service gave us meaning and purpose on this earth, who in loving service has given us eternal life. We have asked ourselves three questions: Do you recognise who Jesus is? Do you understand what Jesus has done for you? Do you appreciate what Jesus expects of you? We were created to serve, we were gifted to serve, shaped to serve, and here, we are called to serve by our Lord and Saviour Himself. Need more motivation? Jesus promises “Now that you know these things, you will be blessed if you do them.” (John 13:17). Lets pray for God’s blessing. This entry was posted in Bible, Sermons, Theology on February 13, 2011 by Stephen Sizer.